from ~the first quarter of the 20th century. 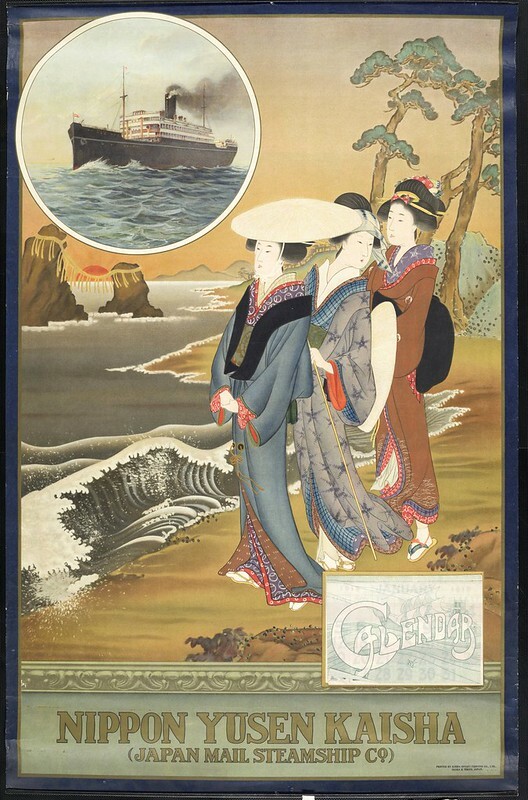 "The Taishō period^ (大正時代 Taishō jidai? ), or Taishō era, is a period in the history of Japan dating from July 30, 1912, to December 25, 1926, coinciding with the reign of the Emperor Taishō". 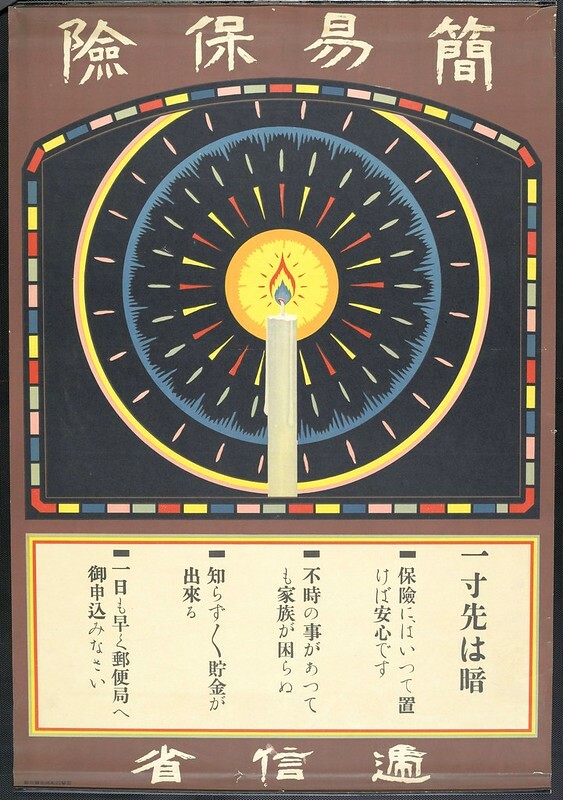 Some of the posters carry over to the early Shōwa era: Emperor Shōwa (Hirohito)^ reigned from 1926 to 1989. 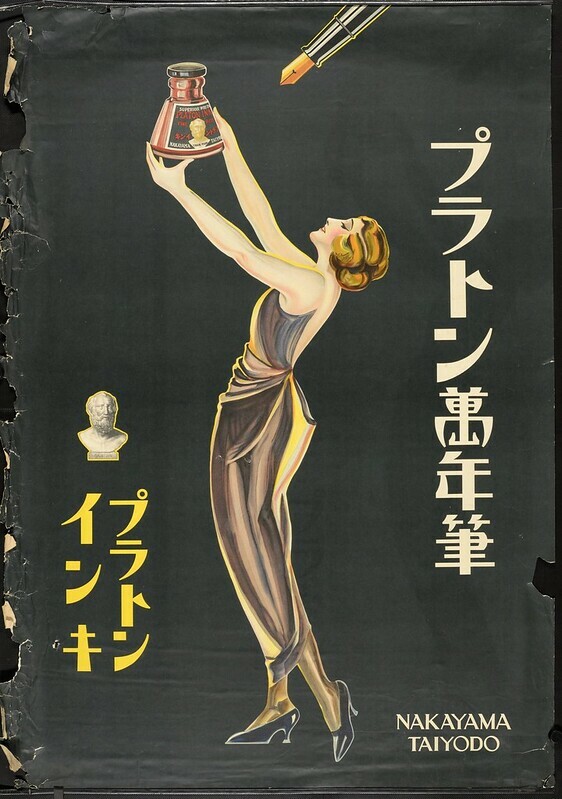 Description: A woman holding an ink bottle. Nakayama Taiyodo. Platon ink and pen (プラトンインキ, プラトン万年筆). Description: A cuttlefish. "Cuttle" or "Cuttle Fish" (a snack), Chishima-ya Shoten (千島屋商店). 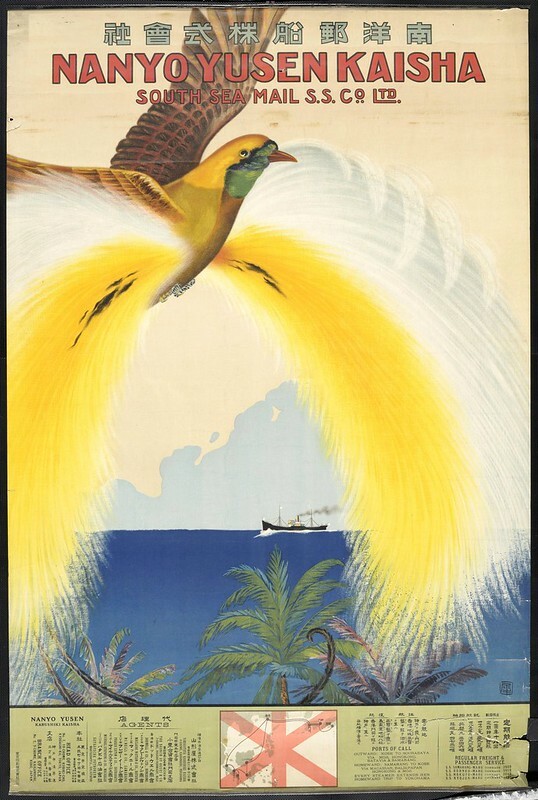 Description: A tropical yellow bird flying over the ocean. Description: Kan'i Hoken (Postal life insurance). Description: A goddess holding a musical instrument. Tokyo Tsukiji Type Foundry, Ltd. (東京築地活版製造所). Marked with "H" [Hirano, Tomiji 平野富二?]. 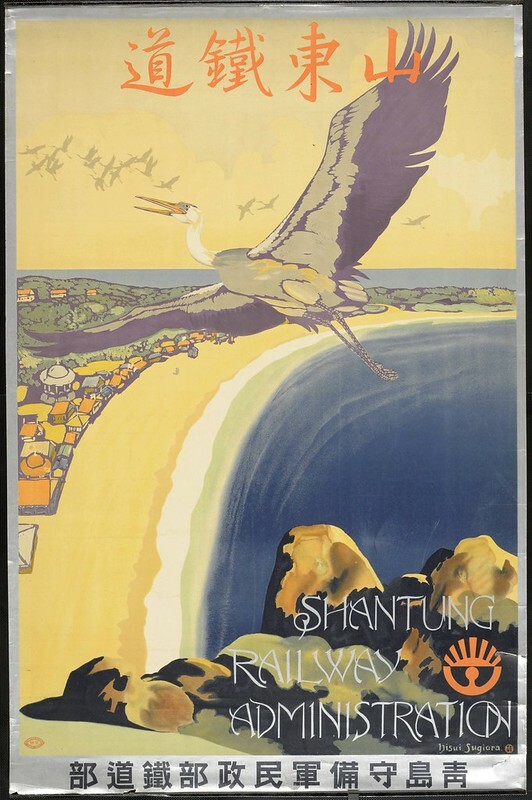 Description: Cranes flying over Shantung. 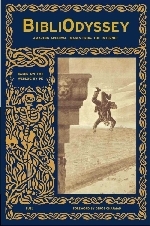 Santo Tetsudo. Shantung Railway Administration in the Chintao Garrison Army. Marked with [Shantung Railway's logo?]. 青島守備軍民政部鉄道部. 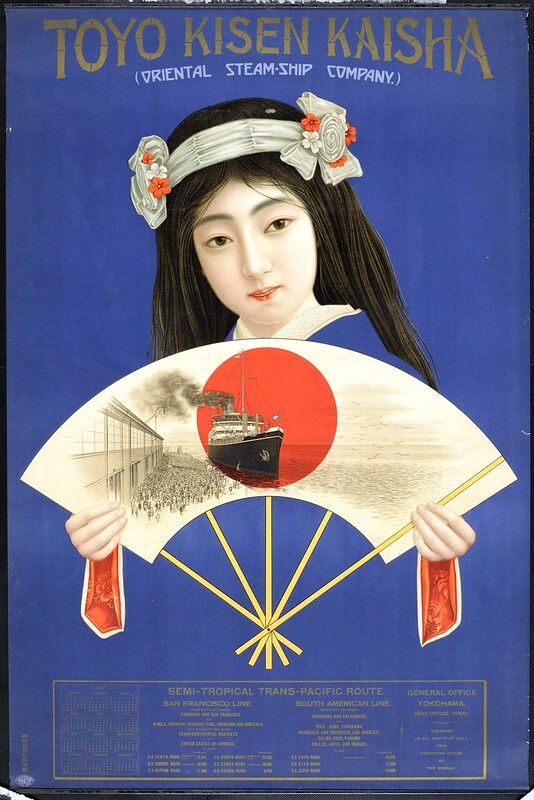 Description: Osaka Mercantile Steamship Co. Ltd. A woman in red kimono holding a fan. Marked with the company's symbol, a flag with a character "大." 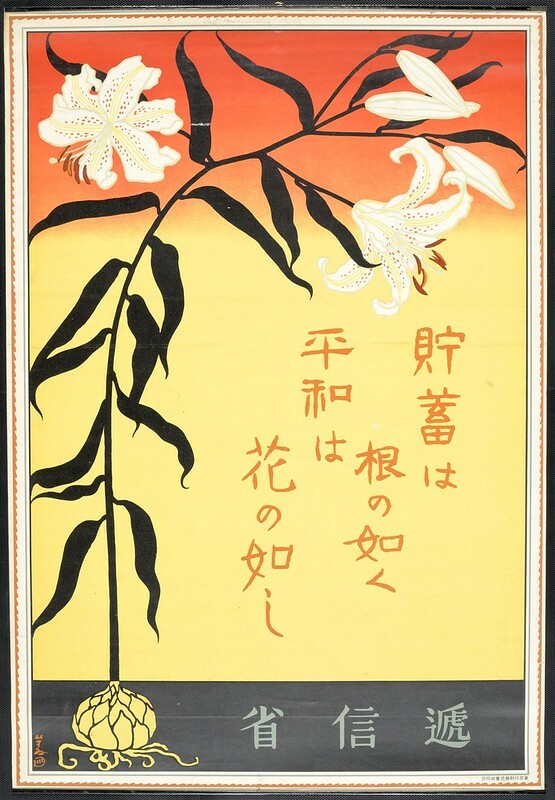 Description: Graphic Art Exposition - Insatsu Bunka Tenrankai, held at Tokyo Hakabutsukan, September 25 - October 25, 1921. 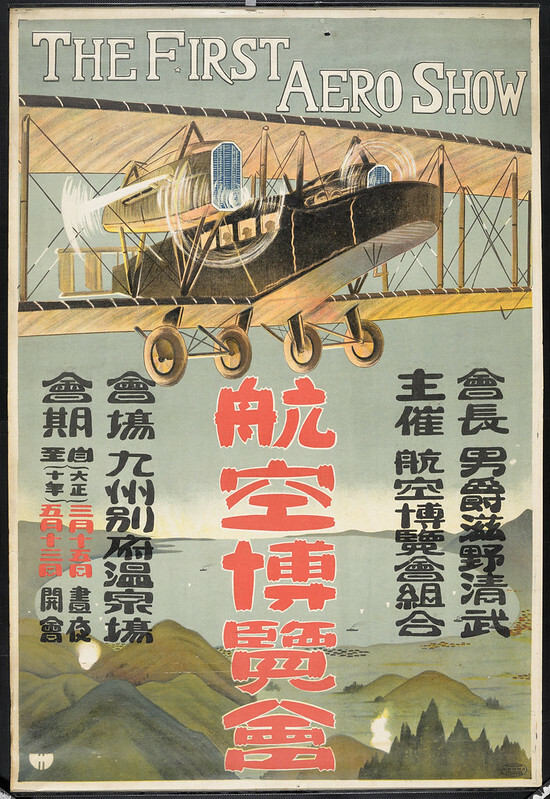 Description: First Aero Show, held in Kyushu, March 15 - May 13, 1921, and chaired by Baron Shigeno Kiyotake (滋野清武). 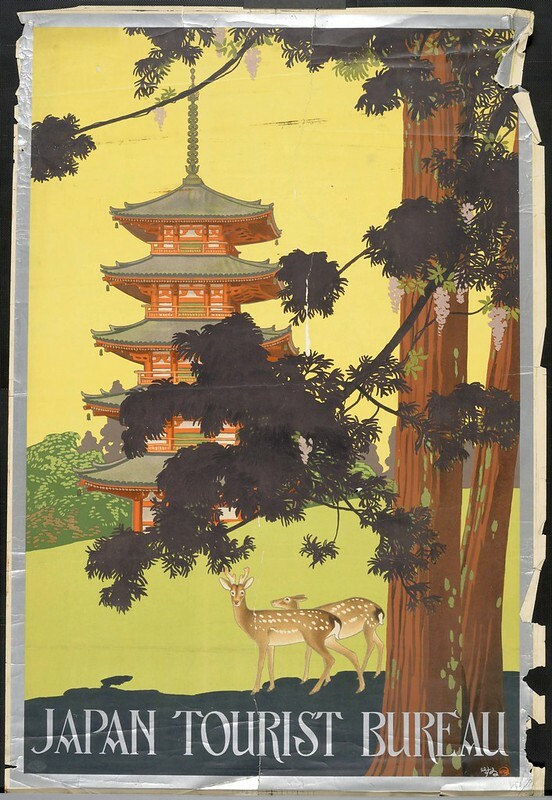 Description: A deer, a pagoda, and pine trees. 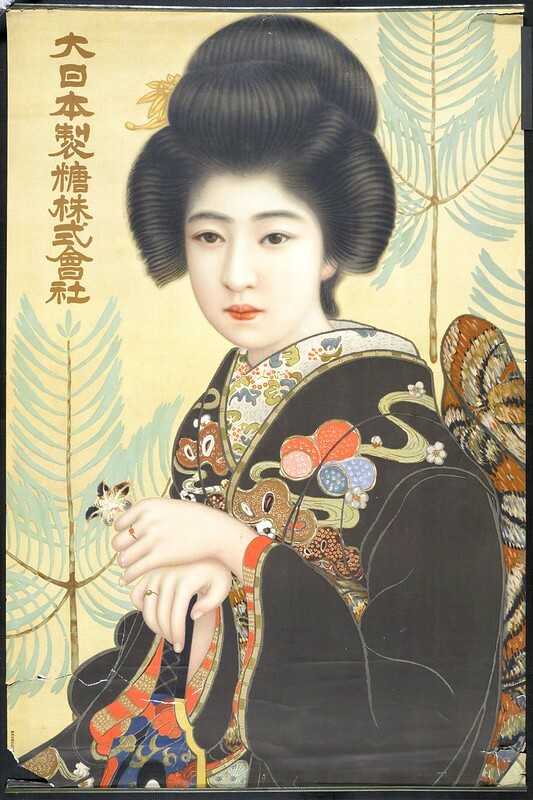 Description: A woman in black kimono. Sugar refining company. 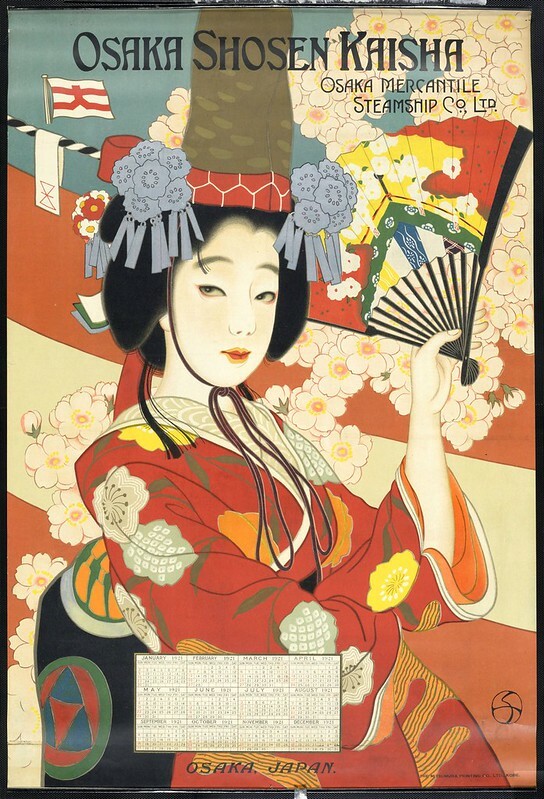 The University of Southern California's Digital Library display a series of early 20th century Japanese posters, contributed by USC's East Asian Library. 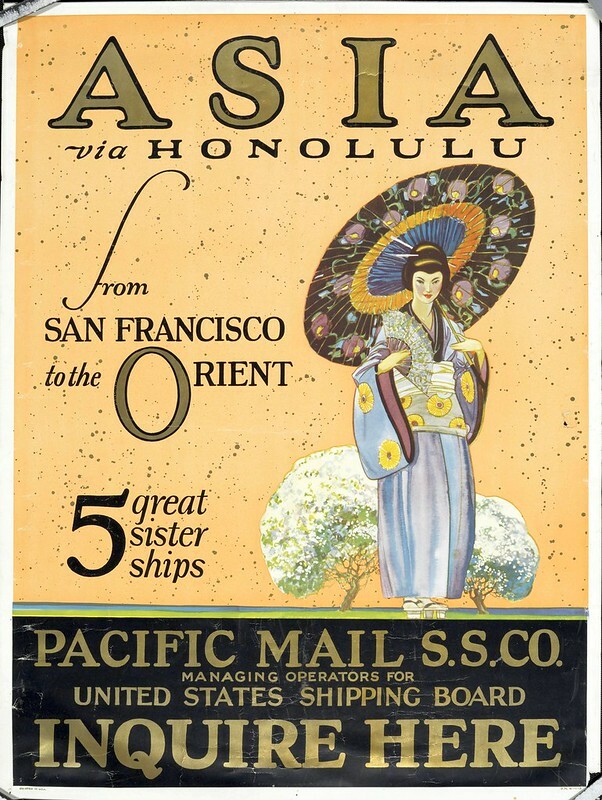 The poster topics in the collection include: travel, Ministry of Communications, commercial products and companies, and expositions. The link works fine for me (and Hi!) Lily. Well of course it worked perfectly this time! I love these, even if they think a flamingo is a crane. Wouldn't be the first time. 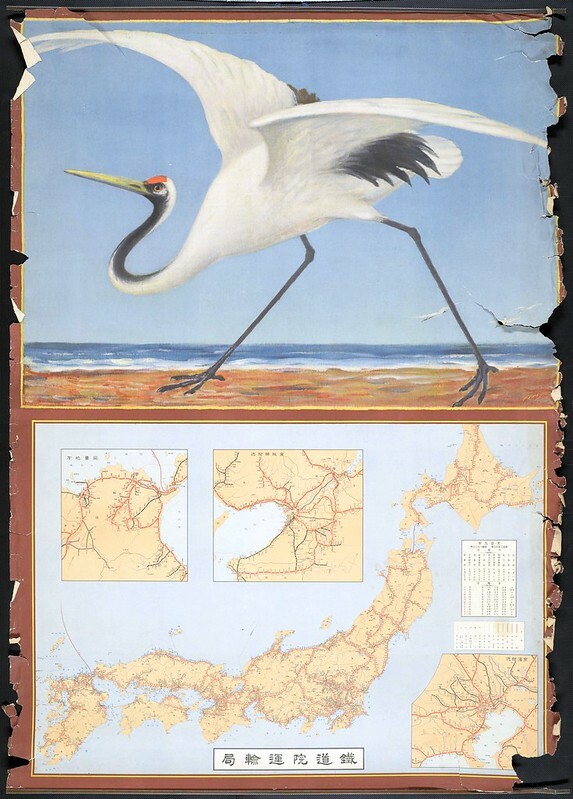 "Cranes flying over Shantung": the bird on the foreground is a heron.
" A white crane. ": it's a flamingo!